Fundraisers, such as $1.00 hat day, crazy hair day, get a flag, etc. Decorate lunch bags for sack lunches. Provide lunches or snacks for the trip. Write letters to our Veterans that travel with us. Fundraisers, such as $1.00 get a flag day. Have a ‘mine for silver” event when classes compete in collecting silver (i.e., nickles, dimes and quarters). Invite Veterans into the classroom to share their stories. We will help you contact Veterans in your area who have traveled with us. Have a Veteran’s Day assembly. We will help you contact Veterans in your area who have traveled with us. Set a goal to send specifically named Veterans from your local community ($900/veteran). Specific groups within the high schools (ROTC, Student Council, NHS, etc.) can sponsor specifically named Veterans. It might be a Grandfather, great uncle, great aunt, or a Veteran from our waiting our list. ($900/veteran). 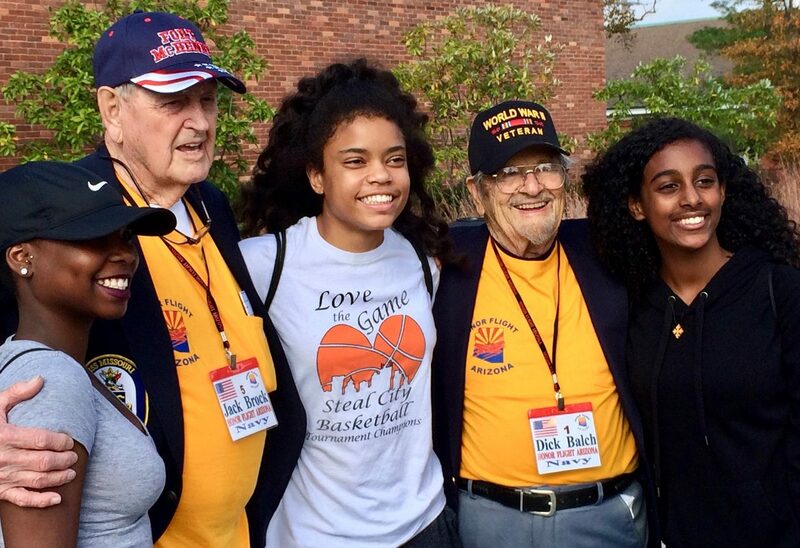 History classes can write assignments that are shared in letter form with a Veteran on an Honor Flight trip. Invite a Veteran to come speak with your classes or groups. We will help you contact Veterans in your area who have traveled with us. Invite Veterans to assemblies and honor them. We will help you contact Veterans in your area who have traveled with us. Visit the Veterans Heritage Project. Teach your students to conduct interviews of Veterans. 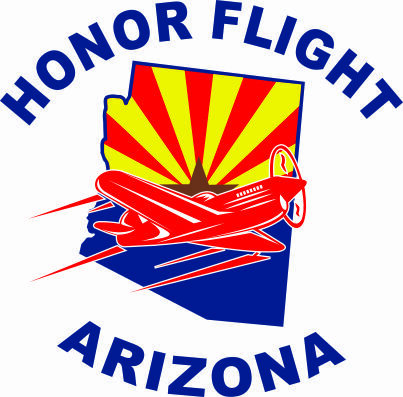 As an organization, Honor Flight AZ will be happy to assist you in any way we can. We will be happy to contact Veterans for you to sponsor and provide you with brochures. We have DVDs that can be shown that give a picture of our journey to Washington, D.C. Please contact us at info@honorflightaz.org if you would like to organize a school program. Thank you for caring about our veterans!